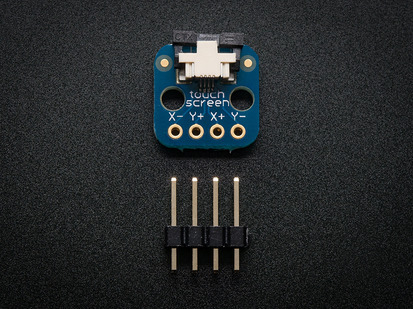 If you've got a resistive touch screen that you'd like to use, you'll need this breakout! 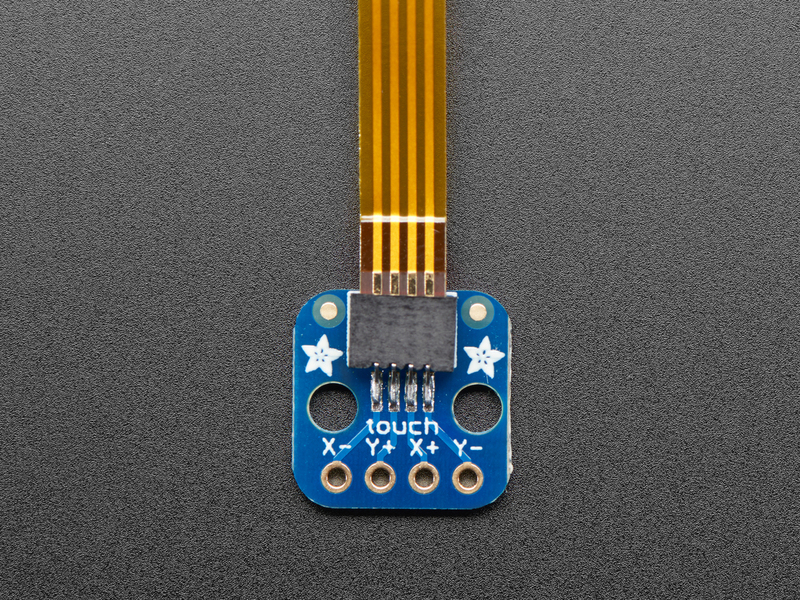 It has a medium pitch (1.0mm) connector soldered onto it, and it's broken out into the four resistive wires of the panel. 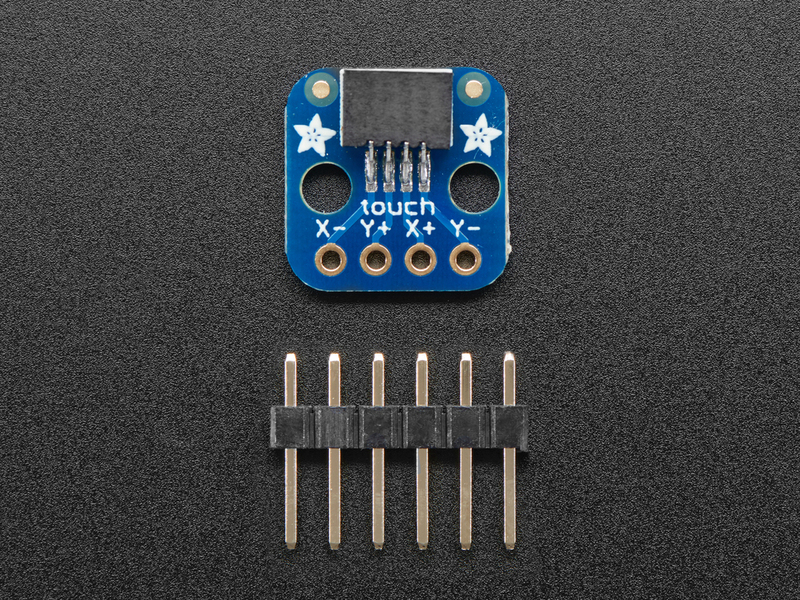 If you need a breakout for 0.5mm-pitch touch panels, check out this product. 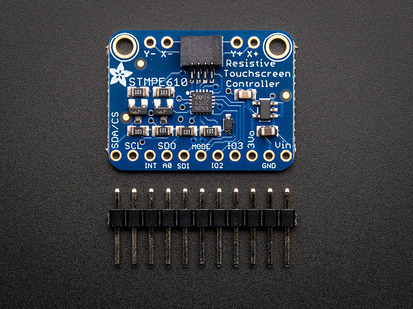 If you want a breakout with a resistive-panel control driver chip on it, our STMPE I2C/SPI breakout or USB AR1100 driver will do what you need! This is a petite 0.5"x0.5" (12.7mm x 12.7mm) breakout board with two mounting holes as well that you can use for strain relief. 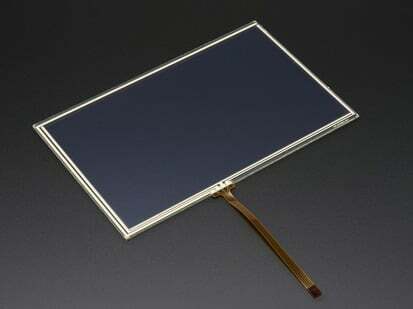 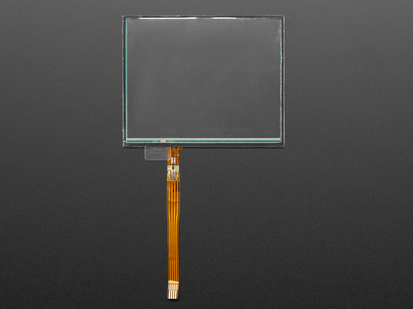 Works perfectly with our 7" touch screen and any other touch screen with 1.0mm pitch. 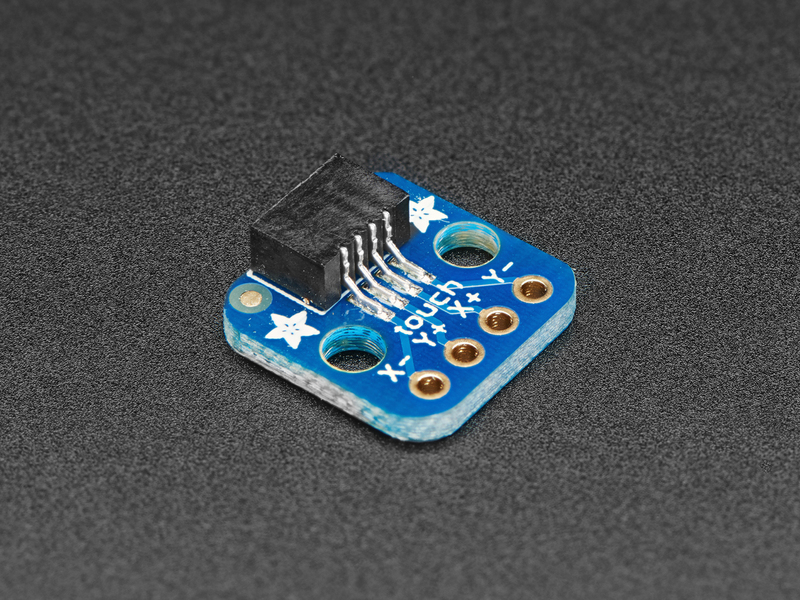 The connector we use is double-sided so you can use it with top-contact or bottom-contact flex PCBs. Check out our great example Arduino library code that shows how to get readings, debounce, and read the pressure from any touch screen (so you can detect when it's being touched and how hard). 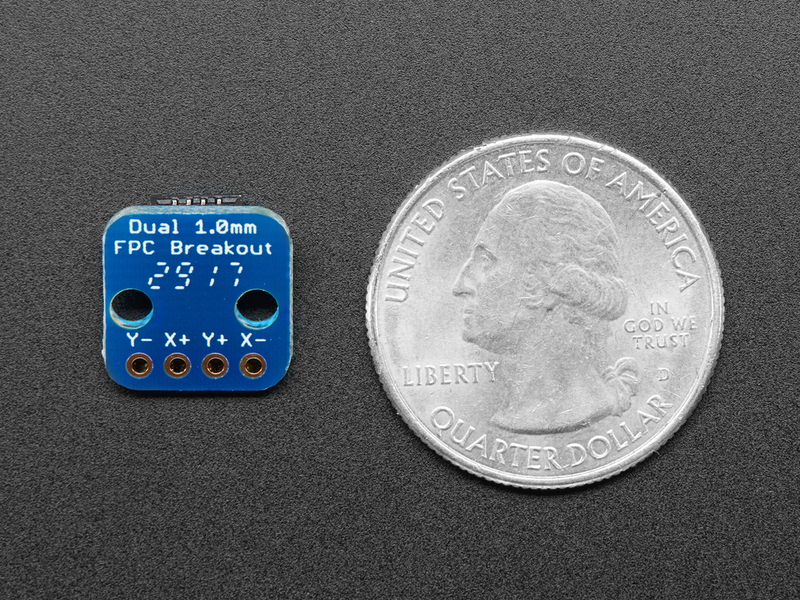 The code is not complex and is easily ported to other microcontrollers. 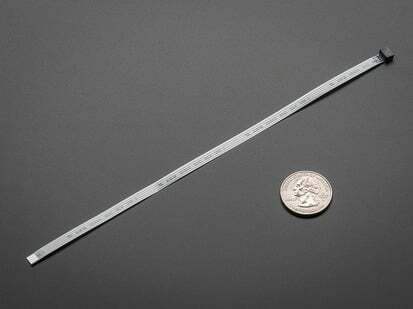 Product Dimensions: 12.7mm x 12.7mm x 4.5mm / 0.5" x 0.5" x 0.2"